If you are wondering how to make the perfect vinaigrette with mustard. This is it! Made from scratch salad dressings are so much better than the bottled stuff for so many reasons. They are healthier – no preservatives. They are fresh and taste so good. Plus, once you have the basics down you can easily customize a dressing for any salad occasion. You can try different combinations by swapping out the type of vinegar and oil in the same ratios as the recipe here. There are so many different kinds of vinegar and oils that there is really no limit to the possible combinations – not to mention the resulting interesting dressings. I will be sharing some others with you soon. But, for now, enjoy this champagne mustard vinaigrette. Trust me it’s easier than it sounds. 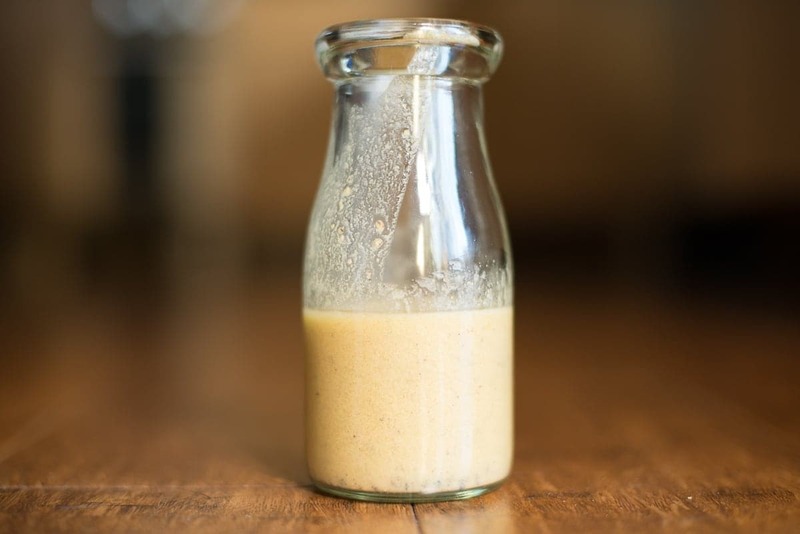 This 3 ingredient dressing (not counting the salt and pepper) will surely convince you that making your own salad dressing is a no-brainer. Check out our awesome video here. Subscribe: Don’t forget to come back for more and subscribe to get recipes and other freebies direct to your inbox. And check us out on Instagram, Facebook, Twitter, Pinterest and NOW YouTube. Super easy vinaigrette that is delicious on every salad. Add the mustard, salt, pepper and vinegar to a medium sized bowl. Whisk continuously while slowly drizzling the olive oil. This recipe is the basic recipe for any vinaigrette. You can easy switch up the ingredients.